While we are not able to answer every question on this page, this is a convenient way to provide the answers to some of the most commonly asked questions. If you do not see an answer to your question, please feel free to use the web site chat feature, or contact our custom service agents directly. How fast can I get a sink? We have a 95% off the shelf fill rate for same day shipping of stock products. What are lead times and delivery options? Custom products can vary from days to weeks. We ship UPS, LT Freight and Air. Do you have any International Distributors for your products? No, but because our products are used in projects worldwide, we do business and ship globally direct from our Corporate office. Where do I go if I want to order a sink from your website? Just Manufacturing does not sell direct. We can direct you to a local distribution or if preferred to an internet partner who accepts Visa, Mastercard or Discover. Whichever option works best for you. Where can I find the name and contact information for a local rep? 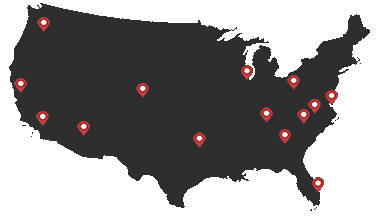 We have an extensive nationwide rep network, along with strategically located warehouses for prompt delivery. More information can be found HERE. Do you have any care and cleaning instructions? Care and cleaning instructions for stainless steel can be found on our CARE page. Are your sinks “Made in the USA”? All Just Manufacturing stainless steel and antimicrobial copper-nickel sink products are 100% manufactured in the USA, produced from 100% domestically produced stainless steel and antimicrobial copper-nickel alloy. Can your sinks be used for residential projects? Yes, our commercial grade stainless steel sinks are specified for residential, light commercial and commercial projects worldwide. What kind of warranty do you have on your sinks? We have two warranties; a "Residential Sink Limited Lifetime Warranty" and a "Commercial Sink and Faucet Limited Warranty". Additional information can be found HERE. I have been unable to find a sink that will fit, it is kind of a strange size, can you make it for me? If a stock product is not the answer, we are experts in custom stainless steel sinks and fixtures! No project is too small for a custom stainless steel sink. For a custom quote, please send your request to: [email protected] Please advise of all dimensions, inside and out and if possible provide a rough sketch. Include your name & phone so one of our Custom Specialists can contact you if they have any questions. Where can I find a spec sheet for your sinks? Where can I find corrosion data for your sinks? The stainless steel laboratory corrosion data can be found HERE. What product CAD/CAM files do you offer on our web site and how do I find them? BIM product files are available in both SketchUp and REVIT format 3D model files. The BIM 3D model file links appear on the product search return screens and are specific to the model shown. BIM files require registration. For registration information you can click HERE. Are there faucets and accessories for most sink models? Your one stop shop for faucets, drains and other accessories that compliment, and are needed for, your new stainless steel sink is HERE. Why do some models come as a package? Due to performance, sizing requirements and demand, items are packaged together for convenience and maximum efficiencies. Do you have maintenance and cleaning instructions for an antimicrobial copper-nickel sink? Maintenance and cleaning instructions for CuVerro antimicrobial copper-nickel surfaces can be found HERE. Can I use an Antimicrobial Copper-nickel sink in the kitchen? Antimicrobial Copper surfaces may be used in hospitals, other healthcare facilities, and various public, commercial, and residential buildings for approved non-food contact surfaces. What internal radius sizes are available? The standard size is a 1-3/4" radius, custom is 1-1/2" radius, zero radius and pencil radius are also available. Is there a way to get a template file that can be printed out by our contractor so that the countertop can be cut out with it? We offer our templates on our website to download. If your printer is not large enough to print the template, we can ship a template to you via UPS. Yes, undercoating is an important part to any stainless steel sink. The coating helps to reduce water condensation and other impacts due to temperature extremes. In addition it will help to absorb and deaden sounds, which can occur when water is run into the sink, or when heavy objects are placed in it. What type of finish is on your sinks? All of our sinks have a hand blended, smooth satin appearance finish. Do you offer low flow aerators on your faucets to meet California water conservation laws? Yes, we also offer low flow aerators if needed: .35, .5, 1.0 and 1.5 as needed. Can you tell me the clearance that is required surrounding the sink for mounting and the size of the mounting clips? Allow approximately 1.5" clearance. The mounting J-clip is 2-5/16". Can I mount a faucet directly to the back splash of a scullery sink? Yes, that is how faucets are mounted onto our scullery sinks. Our sink will be exposed to some harsh chemicals. Can you please let me know if this product is suitable? Type 316 stainless steel sinks are more reliable and are more highly recommended for use in harsh chemical environments than other grades. Do you sell ADA sinks? If so, what are your models? We have one of the broadest offerings of ADA compliant stainless steel sinks, you can see all of the models here: ADA SINKS. Do you have a mounting clip to mount the sink on epoxy tops? Yes, our J-Clips make our sinks compatible with any material. J Clips are available for 3/4" standard through 2-1/2" thick tops. What size are the faucet ledges on your sinks? The faucet ledges on our sinks are typically 4.5" with some at 3.5”. I am trying to find a multi-bowl drop-in kitchen sink that accommodate a garbage disposal. Any suggestions? Our sinks have a standard #35 drain opening which is what most residential disposals will connect to. Do you have installation instructions for an undermount sink? For an undermount sink proper installation and sealing is crucial to prevent leakage and to make sure the sink is properly supported. Undermount sinks are typically attached with a two-part epoxy adhesive and sealed with silicone caulking around the perimeter. Due to differences in counter top materials like granite, soapstone, marble, laminate, wood or concrete. We strongly recommend you consult with one our of customer service representatives so they can provide you with the appropriate installation instructions. What type of sink is best for outdoor use? We recommend type 316 stainless steel for outdoor use. Type 316 stainless steel is an austenitic chromium-nickel stainless and heat-resisting steel with superior corrosion resistance. The last thing that you need is for your outdoor sink to start rusting out on you!